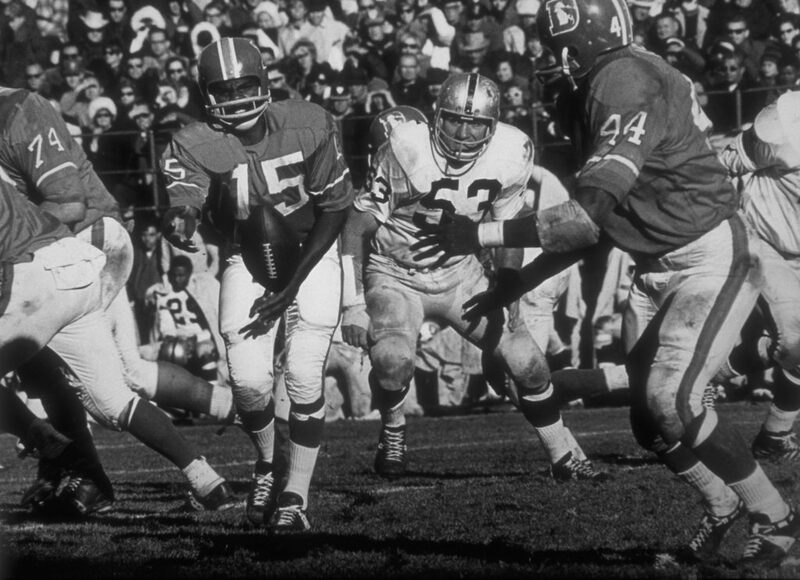 Broncos quarterback Marlin Briscoe leads the Broncos on a drive against the Raiders. Marlin Briscoe becomes the first African-American to start at quarterback in modern pro footbal history, guiding Denver to a 10-7 win over the Bengals. His 14 touchdown passes in 1968 remain a Broncos rookie record.